LTE service has been randomly popping up on my iPhone 5 in the North Austin area these past couple of days. 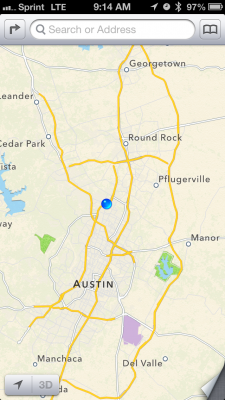 Note that Sprint LTE has not yet launched in town. It only lasts for a few minutes, and the speeds may differ from what we’ll get once it goes live. But the fact that they are testing is a sign that the launch is imminent. 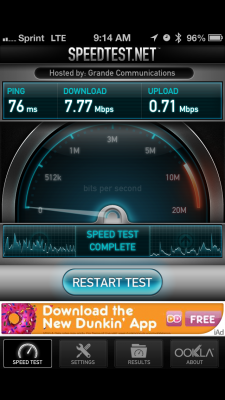 Obviously, when I saw LTE, I had to run a speed test. Speeds were a little disappointing compared with what I’ve read about LTE; but are about a million times better than the notoriously slow Sprint 3G service. Boy I hate CDMA. As you can see, 3G is soooo slow you can almost hear this. Can’t wait for LTE to go live. 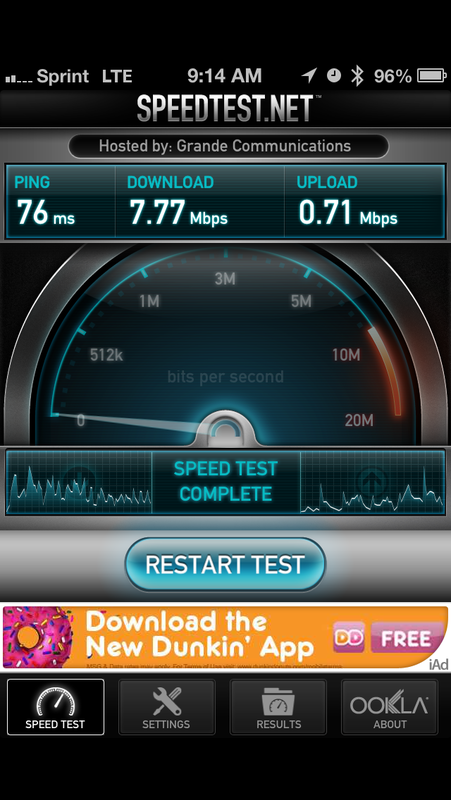 Update: Reader Rolando O. sent a screenshot of SpeedTest results in AT&T LTE. They are amazing. I’ve added the numbers to the table.